Your Vent-A-Kiln system is guaranteed to be free from defects in materials and/or workmanship for a period of one year (12 months) from the purchase date. The warranty applies to original owner only and excludes tampering, misuse, abuse, or alteration to the unit of any kind. If any part is proved to be faulty within the warranty duration, it will be repaired or replaced, at the option of Vent-A-Kiln Corporation. Return shipping charges are the responsibility of the end user. No credit or reimbursement shall be made for any replacement part provided or repair service performed by the end user (customer). 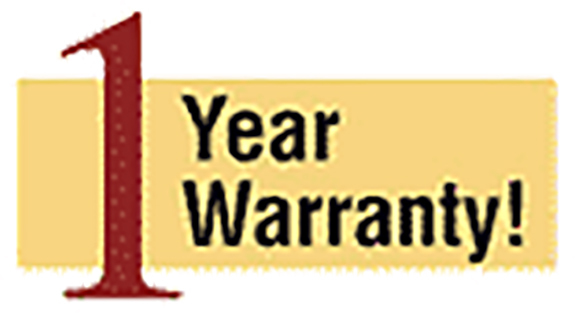 A three-year extension to your standard one-year warranty is available for the price of only $69.00. For an extended warranty, contact Vent-A-Kiln within 90 days of purchase. Your Vent-A-Kiln system is guaranteed to be free from defects in materials and/or workmanship for a period of three (3) years (in addition to the original one-year/12-month warranty).